National Garden Gift Vouchers are for garden lovers everywhere. 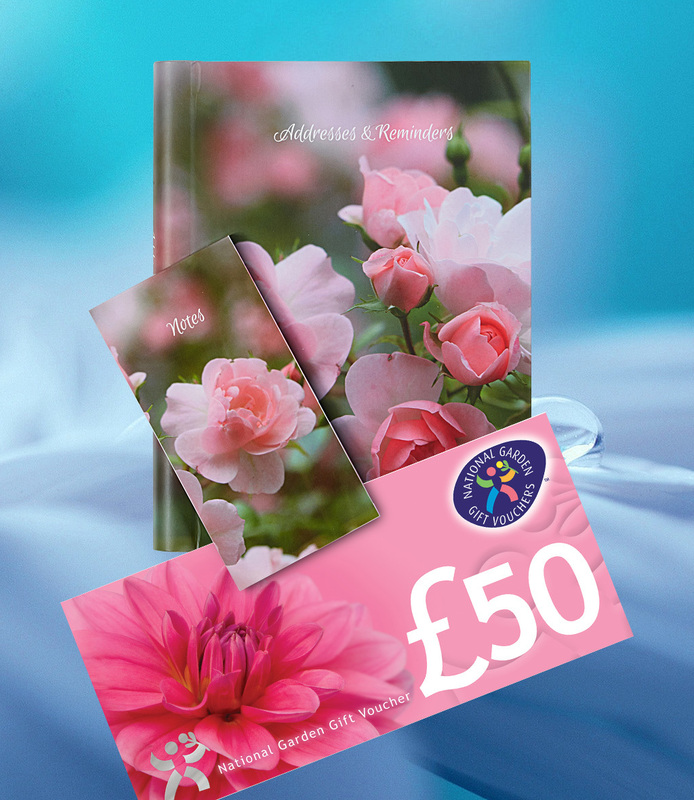 You can spend the voucher in over 2,000 garden centres, shops and nurseries across the whole of the UK. This includes most of the gardening retailers in the UK from small independent nurseries through to the larger chains. The winner will also receive the new Addresses & Reminders Book. What better way to keep track of birthdays, anniversaries and addresses? And it's as pretty as a picture. Plus there's a handy Notepad to pop into your pocket or bag. To enter simply answer the question: How many pages are there for addresses in the new Addresses & Reminders Book? For a clue visit the ADDRESSES & REMINDERS BOOK website. More exciting competitions and exclusive offers from Dairy Diary. If you are not already an existing subscriber, but would like to hear about our new competitions and exclusive offers simply tick this box. We promise not to pass your details to any third party. You will receive occasional newsletters from Dairy Diary. The last date for entries is 20 May 2019. 10. Unless otherwise stated, the promoter is Eaglemoss, Electra House, Crewe Business Park, Cheshire, CW1 6GL. Eaglemoss is part of Eaglemoss Ltd. A list of winners will be available six weeks after the closing date by sending an SAE to The Dairy Diary Prize Draws and Competitions at the above address. 11. Click here for our Privacy Statement. 12. Automated/bulk entries and entries from third parties are not permitted.